"Let us fight the disease of inertia. We signed an agreement that Zisco should be rehabilitated, the implementation period is anathema to the economic (revival). If Zisco does not arise, the industrialisation in terms of steel trade will not happen," he said while giving his keynote address at the 2018 pre-budget seminar held in Bulawayo yesterday. The deal, struck during former President Robert Mugabe's era, entailed the revival of the Redcliff-based steel-making company by Chinese firm R and F, which would invest $1 billion. 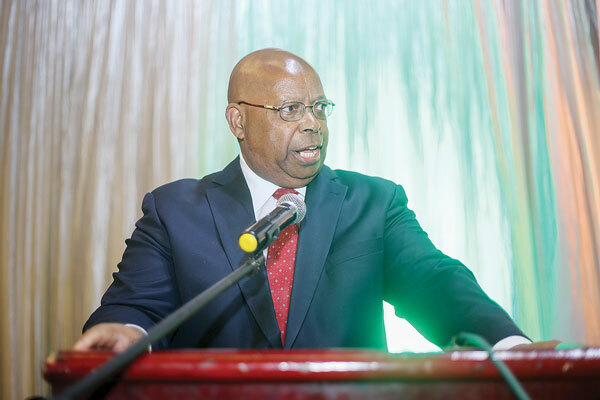 "Let us crack the whip," Mudenda said. "That can be attained by embracing value addition and beneficiation of our mineral resources and agricultural products. Why export raw minerals such as gold, diamonds and chrome, for example?" he said. "We export raw tobacco at an annual value of plus or minus $800 million. Studies have shown that if the same quality of tobacco is value added and beneficiated, the country would realise no less than $6 billion, much more than our consistently $4 billion annual budget," he said. "That is why I'm convinced that a diligent resource mobilisation thrust can enable Zimbabwe to craft a $10 billion annual national budget. This would make it possible for government employment costs to come down from the current 97% of the erstwhile approved budget to between 30% and 35%." "That constitutional 5% of the national budget that must devolve to each province will not be a mirage. In that way, we can indeed realise rapid, equitable and balanced development in Zimbabwe," he said. "There is need to rapidly move towards digital taxation based on virtual codification of our tax basket. That economic trajectory will guarantee Zimbabwe to attain an upper middle income economy by 2030," he said.